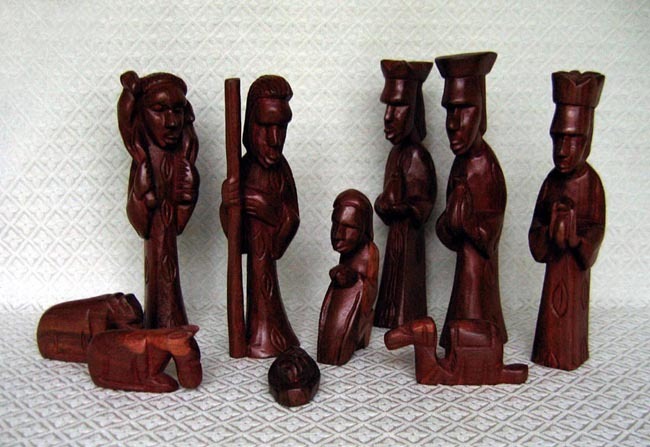 This Nativity set was carved from mahogany wood by Philip Yeagon in Monrovia, Liberia. The scene contains 10 figures: the Holy Family, a shepherd with a lamb across his shoulders, a donkey, a cow, a camel, and three wise men. The shepherd stands 9.25 inches tall.